As Event Fire & Safety Specialists we have provided a wide range of services to some of the UK’s leading events, ranging from Download Festival at Donington Park to the Great Dorset Steam Fair. We specialise in providing realistic and cost effective solutions to the fire safety problems posed by large outdoor public events and music festivals. Through our dedicated professional service we have earned the reputation as being ‘The Event Fire Cover Specialists’. Our continued investment in the company means that we are able to provide a ‘One Stop’ Fire Safety and Response Service for your event. This means that there is a single point of contact for Fire Safety and Response Cover available pre-event, on site during the event and post event, to manage Fire Safety and Response on your site. Prior to the event our Fire Safety Advisors can carry out fully detailed Fire Risk Assessments, that cover the Build, Event and Break phases. Once a Fire Risk Assessment has been conducted the significant findings will be explained and an action plan produced and agreed. With over 750 portable fire extinguishers in our Hire Stock, we cannot only supply the quantity of extinguishers, but we can supply the signs, stands and train your staff in the selection and safe use of them. We can also distribute the extinguishers around the site, collect them in after the event and our Fire Extinguishing Trades Association trained engineers can refill them on site, as required. We can provide Fire Alarm Design, Installation, Maintenance and Hire, ranging from a Hand Operated Rotary Bell to a fully Automated Fire Detection System. Our Fire Industry Association trained Engineers can Design, Install and Maintain the appropriate fire warning systems required to cover both temporary and permanent structures on site. During the Build, Event and Break Phases of your event, we can provide First Response Fire and Rescue Cover, with the aim to minimise the damage caused by a fire/fire related emergency incident, in the absence of, or until the arrival of, the Local Fire Service. Cover can be arranged in either 12 or 24 hour periods, with standby being given during the day, evening or a combination of both. We can tailor make a cover package to meet the individual needs of your event, ensuring that the crews and appliances are present when the risks are at their greatest. First Response Fire and Rescue Cover is available as a single service, but is generally supplied as part of an Event Fire Safety Package, combined with the Fire Risk Assessment, Fire Safety Training and Fire Extinguisher and Alarm Hire. This means that as well as responding to incidents the crews will be available to conduct Fire Safety Inspections (as specified within the Fire Risk Assessment), to conduct Fire Safety Patrols and to test any Fire Alarm/Fire Warning Systems and record the findings. All incidents and inspections are fully recorded, detailing times, delays, attendance and action taken. Competency is obviously a serious issue when providing an operational fire and rescue response service, this why our fire appliances are crewed by fully trained and experienced fire-fighters. We recognise our duty of care to both our staff and any other person on site, which is why we provide both in-house and external refresher training to all of our fire-fighters. In a world of ever increasing and changing legislation, our experienced Health and Fire Safety Consultants are able assist your organisation in meeting their statutory obligations. We can help you find the missing pieces to the puzzle. Through our extensive experience of providing fire safety solutions to major outdoor events throughout the country and through providing detailed fire risk assessments for many of those events, one of the most significant fire risks on site is the extensive use of Liquefied Petroleum Gas (LPG) and the storage and handling of both full and empty LPG cylinders. As an organisation, we have attended numerous incidents involving both LPG Cylinders and faults on LPG Installations, we appreciate the concern that this raises with both the event organisers and members of the general public alike. Many of the faults that we have encountered could have been isolated and made safe by a competent engineer, without the need to close catering units, temporary kitchens or to remove heaters from use, but trying to locate a suitably qualified engineer at short notice, at a weekend can be difficult. In the absence of a competent engineer the only practical safety options left are to shut-off, close and remove from service, which can cause conflict with equipment owners and operators. The Gas Safety (Installation and Use) Regulations 1998, state that “Where an employer or self-employed person requires any work in relation to a gas fitting to be carried out at any place of work under his control or where an employer or self-employed person has control to any extent of work in relation to a gas fitting, he shall take reasonable steps to ensure that the person undertaking that work is, or is employed by, a member of a class of persons approved by the Health and Safety Executive. Furthermore, all gas installation businesses are required to be in membership of a ‘class of persons’ approved by the HSE, whether they carry out such work as their main or part activity.” To comply with this requirement Sharp-Fire & Rescue Ltd is the first independent fire and rescue service to become a member of the Gas Safe register and have engineers holding Nationally Accredited Certification Scheme qualifications in both Natural and Liquefied Petroleum Gas (LPG), which allows us to offer gas safety advice to event organisers, catering unit operators, market traders, exhibitors and members of the public camping at event sites. 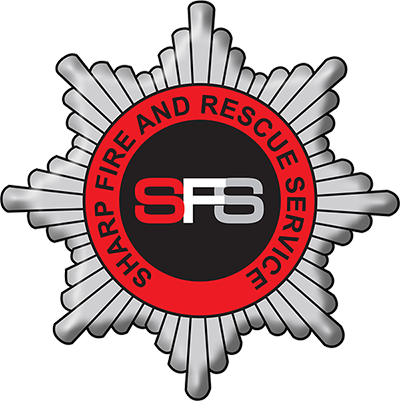 Sharp-Fire & Rescue Ltd can assess the authenticity of gas safety certificates that have been provided to organisers as part of their selection and approval process, as well as inspecting the gas safety condition of the wide range of installations using LPG on site, which can range from catering units to mobile shower units. This inspection can be combined with our site fire safety inspections, to provide a timed audit trail of the fire safety inspections across the site and ensuring continued fire safety at each visit. If mobilised to an incident involving LPG, or a suspected gas escape, then we carry all of the necessary equipment required to locate any escapes and our engineers can ensure the faulty appliance or installation is isolated and made safe, where necessary, and an appropriate Warning/Advice Notice will be issued, as required by the Gas Industry Unsafe Situations Procedures. Please contact us for further information regarding our gas safety services for outdoor events. We provide a Catering Accreditation Service where we check your Caterers Health and Fire Safety documentation prior to them arriving on site, providing the reassurance that they are meeting their statutory obligations. Whilst on site we can monitor the Caterers for compliance, including with regards to; Food Hygiene, Waste Management, LPG Cylinder Management and Fire safety. We can represent your organisation and liaise with Statutory Authorities and Partner Agencies on your behalf. Operating a Multi-Agency Event Control Room can be a daunting task, ensuring that all calls are appropriately answered, actioned and logged. We can provide competent and experienced Event Control Room Managers and Operators to operate the Event Control Room on your behalf. We are also able to supply Licensed Security Industry Authority Public Space Surveillance (CCTCV) Operators, electronic Event Control Room Logging Systems with remote Partner Agency Access and to produce the required documentation, including; CCTV Policies and Event Control Room Management Plans. We provide a full Health, Safety and Environmental Pack prior to any contract commencing, that includes copies of our Health and Safety Policy, Environmental Policy, Operational and Work Activity Risk Assessments and Copies of our Employers, Public and Product Liability Insurance Certificates. The level of cover for our Employees Liability Insurance is ten million pounds, and five million pounds for our Public Liability, which covers operational response.